Wizard of Oz Pendant. Dorothy and Toto. 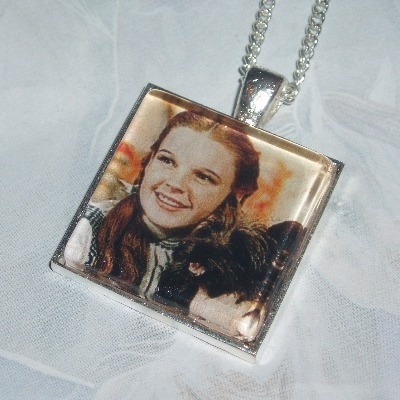 25mm handmade square glass cabochon in a silver plated setting featuring Dorothy with Toto. Available on a choice of chains. Perfect gift for any Wizard of Oz fan.